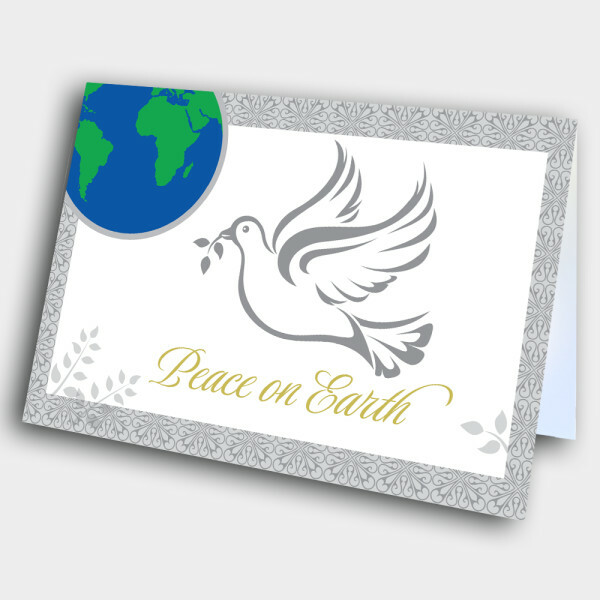 Send an elegantly artistic holiday card, to wish for some holiday peace. 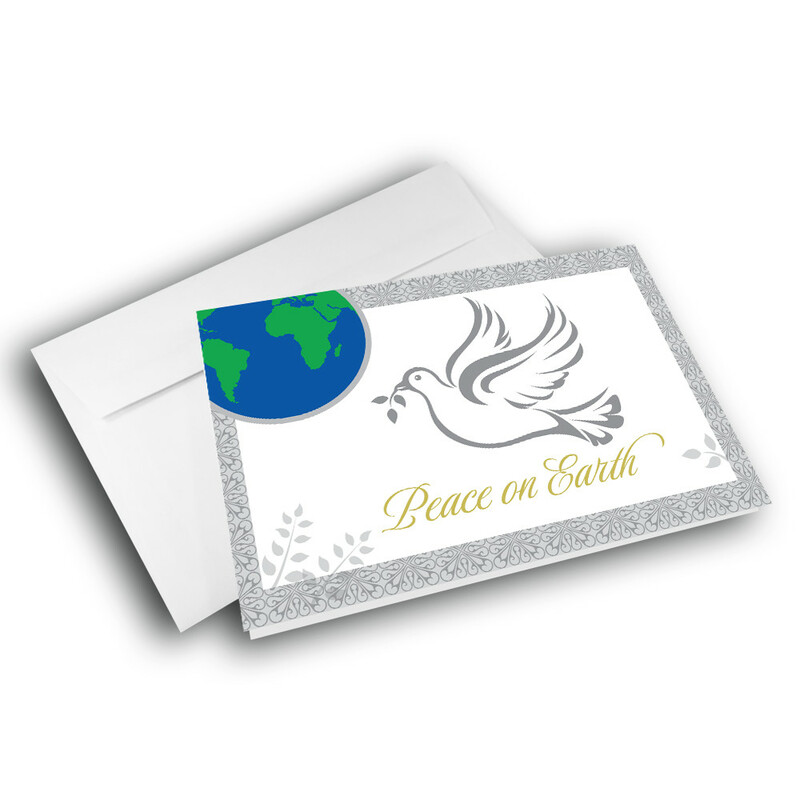 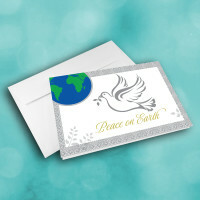 This unique, peace on earth holiday card is perfect for both business and personal. 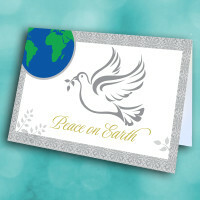 The front is adorned with a line-art peace dove, flying above an elegantly penned greeting. In one corner sits the earth, the entire scene being surrounded by a beautiful, detailed border. 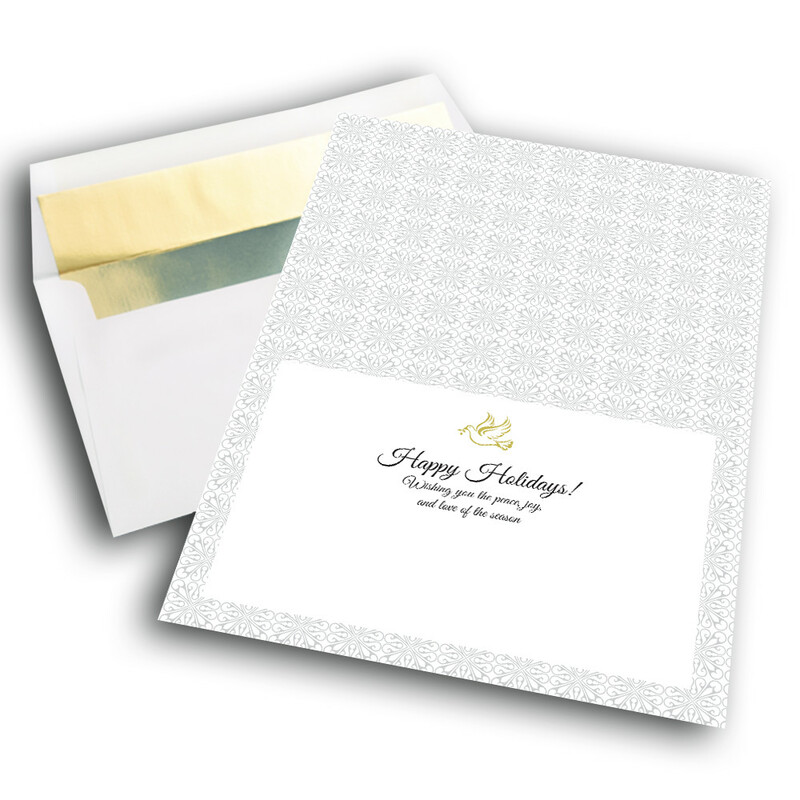 This intricate, silver border continues inside to pattern the interior, where the warm message is displayed. 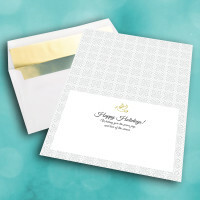 Customize this message to add your own personal touch.